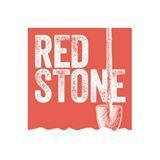 Redstone Winery® is the latest venture by Moray Tawse and his award-winning winemaking team. Named for its red clay soil and large stones, the 38-acre Lincoln Lakeshore property was purchased in 2009 and is home to a newly opened hospitality centre and a locally-inspired restaurant. The Club at Redstone is an ideal way to sample a wide range of varietals throughout the year. Enjoy select pre-release wines in each bi-monthly shipment, as well as the occasional Redstone Wine Club Exclusive all chosen by Winemaker Rene Van Ede. Tasting notes, delivery schedules, notice of upcoming events and recipes created by our Chef David Sider will be available through the Member’s Only portal on the Redstone Website. Restaurant open for lunch 11:30am – 3pm and dinner 5pm – 9pm. Lounge also onsite, open 11:30am – 9pm.